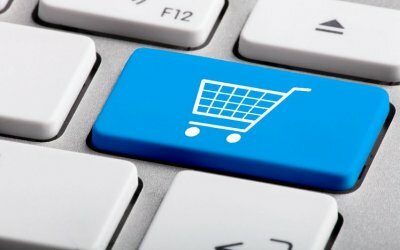 Businesses making sales of taxable products or services over the Internet or through other remote marketing but who are not registered to collect sales tax in all states should pay attention to the South Dakota v. Wayfair, Inc. case that the U.S. Supreme Court has agreed to hear this term. If the state of South Dakota is successful in this case, businesses across the country can be required to register, collect, and pay sales tax in jurisdictions where they make taxable sales even though the businesses do not have a physical connection to the state. This case challenges the more than 25-year standard set in Quill v. North Dakota which currently limits states' ability to require out-of-state vendors to collect tax unless the business has a physical "nexus" with the state such as in-state employees, agents, offices, or inventory. The Court will hear the case in April and render a decision by the end of the Supreme Court's June term. At least 36 states are actively advocating that the Court overturn the Quill standard. It is widely speculated that the Court would likely have simply declined to take the case if the Court was inclined to leave the Quill standard in place. In any event, the decision is likely to add clarity to the current status of the issue and may result in very significant changes for online businesses. Some states have already passed legislation allowing expanded nexus rules for out-of-state businesses that could become effective immediately upon such a decision, and it is expected that if Quill is overturned many other states will quickly follow. Some protections for small businesses will likely be part of any new legislation, but we do not know how aggressive states will be in enforcing these laws if South Dakota prevails in the case. Businesses with out-of-state sales who currently rely on the Quill standard to avoid collecting and paying sales tax in additional states should follow the progress of Wayfair and discuss contingency plans for addressing additional sales tax compliance in the event that the Court decision has the effect of overturning Quill. Please contact Yuri Berndt if you would like to discuss this issue or to be updated regarding the progress of Wayfair.